Knocked out a tooth – Time is of the essence! A tooth that has undergone trauma due to an accident (for example during sports, a fight, a car accident, etc) can be very stressful for patients and their families. Often it happens suddenly and at the most inconvenient of times and trying to get to a health professional in a timely fashion could be quite stressful. Some of the most common teeth to get affected are the front central incisors – so aesthetics is also a major concern in this area. There are a number of important things you can learn about emergency care for traumatised teeth, in particularly when a tooth has fallen out; so that you can improve the long term prognosis of the tooth, should this stressful event ever happen to you, a family member or friend. The first thing to do is to make sure that you have cleaned any cuts or bleeding surfaces on the face or lips, preferably with saline (salty water). If the tooth has fallen out, the most important thing is do not keep the tooth dry! Having said this, it’s very important that you do not place the tooth in plain water – water kills the periodontal cells on the root surface and immediately renders the tooth a poor prognosis for healing. 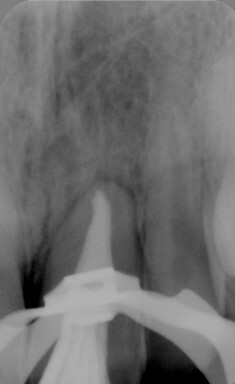 Always handle a tooth by the crown (the white part) and not the root. The tooth may be transported to the dentist either in a container of milk or positioned in the patient’s mouth next to the cheek and the back molar teeth so that it remains bathed in saliva. If there is a risk of swallowing the tooth, as with very young patients, the patient should spit into a container and place the tooth in that. There are also special storage media for teeth that have fallen out, for example Hanks Buffering Solution, which you may have in your first aid kit. You may wish to replant the tooth yourself, though often we advise a dentist to do this for you. If the tooth is dirty, rinse with milk or saline before replanting in the socket, but be careful to place it back the same way it came out — we have seen patients with teeth placed back-to-front before! Keep in mind that the bone supporting the tooth may also have fractured, so if you’re unsure, better to make your way to the dentist as soon as possible. 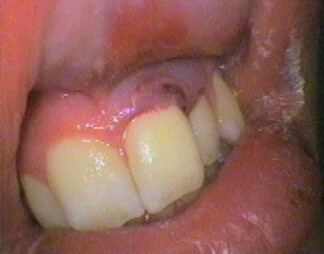 If the tooth has been left dry for 60 minutes or longer, the prognosis of the tooth is very poor. The dentist will provide you with more information about the chances of long-term survival of the tooth after assessing the jawbone and root anatomy of the tooth with x-rays and nerve testing. Treatment options vary depending on the age of the patient and tooth – often, the tooth requires root canal therapy within a week, other times it heals by itself! We recommend you see the dentist on the day of the accident or as soon as possible after to make sure you get the best outcome for your tooth. If you wait too long with the tooth out of the socket, the tooth may no longer fit back into the space! You may also require a tetanus booster, and we will ask you if you’re up to date with this when you come in.